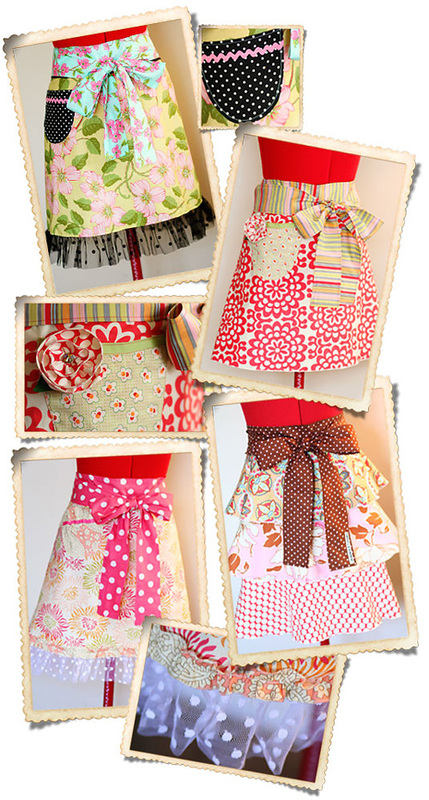 new apron styles...including HALTER adult and child styles. Yippppeee!! No, I won't even attempt to smoosh it all into one post. I've been known to be a bit random and long-winded, but that would be downright overwhelming--even for me! LOL So I'll give you just a small taste of what I've been working on and leave the rest for future posts. 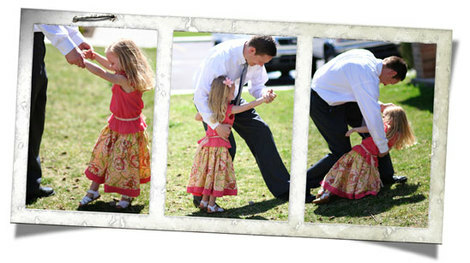 Many of you have probably already heard the news....sweet Amy blogged about it a couple days ago. Oh my goodness, was I ever honored when the most fabulous gifter in the WORLD asked to sell my aprons at her Paris Flea Market event. After hyperventilating, of course I said yes!!! And I truly do consider it a privilege. Not only is Amy one of the kindest people I have ever *known* (I say that because while I have never actually met dear Amy, I feel like I do indeed know her.) she has impeccable taste! I'm just delighted!! 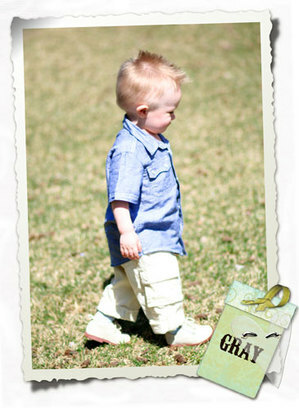 Here's a peek of what I sent off to my Inspire Company friend. to say hello. I can't believe it's Thursday! These days are just melting away. Our holiday celebrations were wonderful...full of lots of family time, parties, and yummy sugary food. I had a whole collage of photos to share-- our Baby Animal Day adventure, Easter bunny visits, and weekend activities...but darn Photoshop had a little glitch and froze up before I saved. Drat! I'll have to scrap a page instead to document all the good stuff. I DID manage to whip up a few quickie shots of our dancing diva. She LOVED her new Easter duds. Ok....she loved PART of my late night handiwork. I made a matching capelet out of the prettiest shade of plum velveteen, which she refused to wear. Not even in the car on the way to church! *sigh* I think it's darling. Unfortunately, she does not. Hmmmm...I think a hefty case of bribery is in order. At least for a few pictures. You think? I hope you're all having a great week! SO extremely busy here, but all is good. I'll post some of my recent OJ&Co projects soon. Here's a hint...they have something to do with the FABULOUS, and ever so sweet Amy, of Inspire Company fame. Oh, I am one lucky, lucky girl, I have to say! 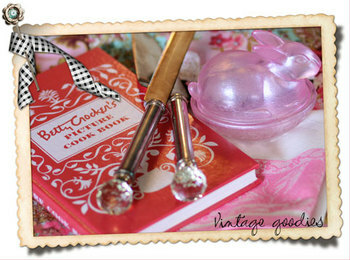 A few weeks ago, one of my FAVORITE bloggers-- the fabulous Jenny Holiday--put together a vintage kitchen swap. I immediately signed up and started thinking of what I could send. Of COURSE, I had to do an apron since it's sort of my *thing*, you know. What says vintage kitchen better than an apron? Anyhow, so kids in tow, a-thrifting we went. First we hit the infamous D.I. (Utah's version of the Salvation Army) and found some wonderful stuff. Who knew the D.I. had jewelry cases?! Not me! Inside this one particular case my eyes spotted a set of silver serving pieces with real crystal on the handles. SCORE! And then I found the book section....cases and cases of old books of every kind. This cute dark pink Betty Crocker picture cookbook called my name. I have an obsession with cookbooks anyway, and the ones with PICTURES are the best! Next we went to an antique mall and made some more fab finds. Tea towels, a pink orange juicer, and an old copy of the Velveteen Rabbit on VHS. (Olivia loves this movie!) I also got a cute little pink bunny candy dish that I don't think is "antique" but is certainly cute, none the less. Here's a shot of some of the days purchases. Most of it went off to my swap partner, but unfortunately the serving pieces stayed back with me. I just couldn't bring myself to send them. Hopefully I made up for it with the other items I sent. Okay friends, off to make some dinner and get ready for a long night of sewing. 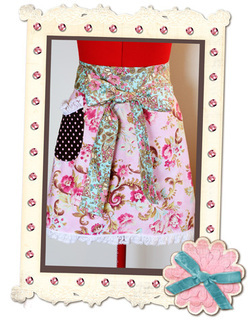 Thank you very much for all the recent apron orders. I'm so happy you like them. Digital art by Jen Wilson and Shabby Miss Jenn.